Home Bloggers Activities Exabytes starts bloggers club. 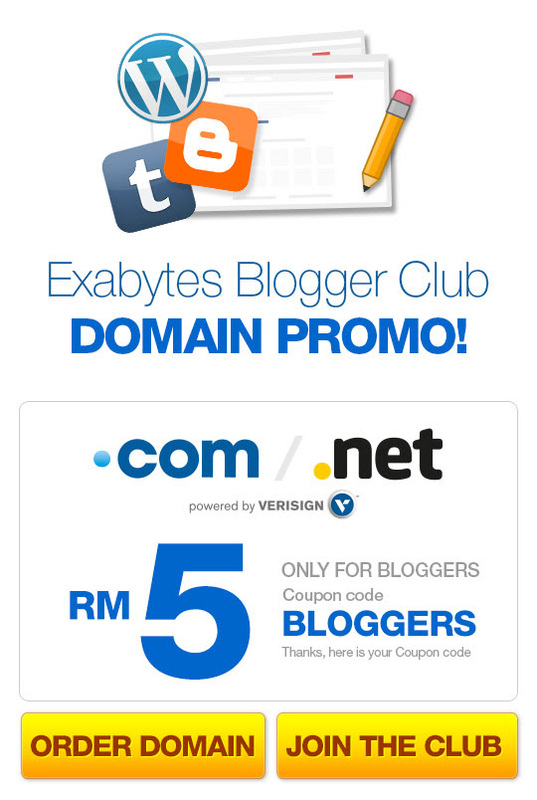 Offers domains at RM5! Exabytes starts bloggers club. Offers domains at RM5! Exabytes has decided to grow themselves a bloggers community, and they call it rightfully as the “Exabytes Blogger Club“. According to Exabytes blog, the club is their way to give back to the blogging community in which they would be able to “organize gatherings and knowledge sharing workshops on blogs related topics”. Exabytes also claims that the program objective is to encourage bloggers to gather for blogging tips sharing such in the liveliest manner. For those joining in, you’d be able to get a domain name from Exabytes at a mere RM5 for either a .com or .net, which is in fact really really cheap. Those interested can check out Exabytes here, but do note that the RM5 domain name promotion is only for new applications.